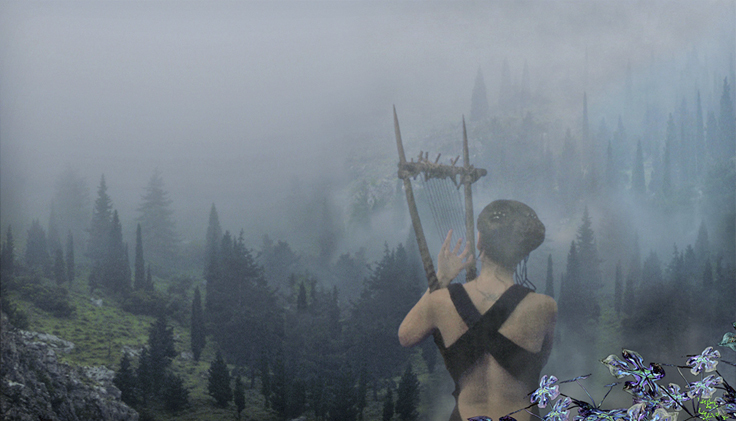 The video navigates through a fairy Landscape compiled out of views of Delphi. 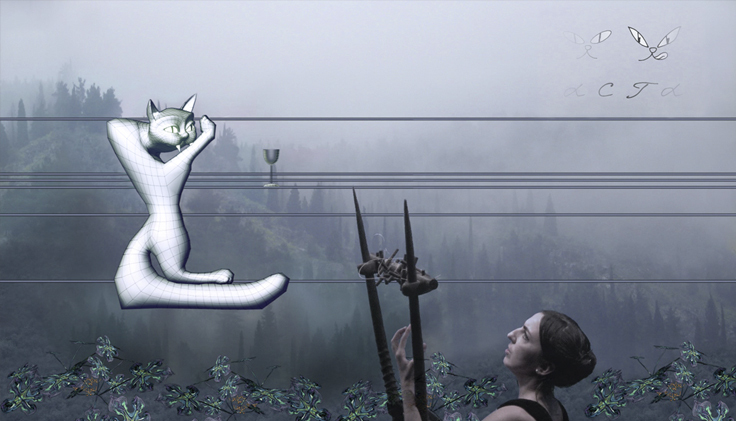 Listening to the song reconstructed after Ancient fragments found in the area, the viewer encounters mathematical operation animals proportioned after “pythagorean” enharmonic tunes. Animals of this sculptural system appear as extatic visions differentiated by specifics of their tunes and geographical positions. The song culminates in a dance of the so-called “All-embracing Dorian Sum-Cat” along the tones of melody which unveals its specific character.